The last day of school is still weeks away, but it’s already time to start thinking about summer camps for your child. There are a number of choices available, including some for children with special needs. 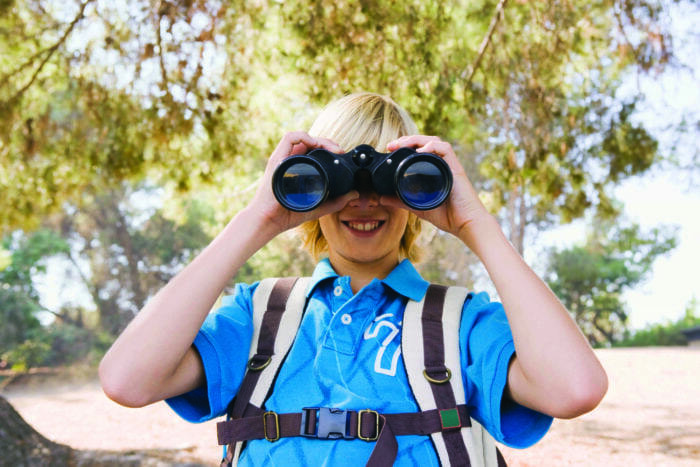 It helps to plan ahead if you want to find the right camp for your child. First, you need to decide whether to send your child to a day camp or a traditional camp with overnight stays. Younger children may not be ready to spend all day and night away from home. You must also figure out what type of camp you’re looking for. Some camps teach new skills, while others focus on the development of special interests. Ask yourself what you want your child to take away from the camp experience? Cost is another consideration. Traditional camps typically cost more than day camps. Town camps often offer the best value, and scout camps frequently offer discounts to troop members. After you have narrowed down your camp choices, arrange to visit one or two so you can talk with the people responsible for the camp. What kind of facilities does the camp offer? What is the camper-to-counselor ratio? What kind of training does the staff receive? What kind of instruction do the campers receive? What arrangements are made to ensure campers’ safety in an emergency (medical or dangerous weather)? For overnight camps, are trial stays available for a day of two? What are the sleeping arrangements like? What kind of food is served? Ask for references and don’t be afraid to check them out. The Capital District Parent Pages camp listing on the opposite page has plenty of variety for every camper’s interest. With all of those options, you are bound to find the perfect fit for your child. Youth Programs, Soccer Camps, Action Camps, Youth Leagues. Customized summer programs. For students entering grades 3-8. Weekly adventure-filled camps for children ages 2.5-10 with art, science, outdoor education and more. Day camp open to the public for ages 3 to 14 with arts, crafts, sports, weekly themes, Specialty camp options and more. field trips and weekly themes. Spanish immersion summer camp for ages 3-9 with cooking, art, soccer and more. Summer camp for ages 3-5 year olds. Weeks of fun and learning for students in grades 6-10. Outdoor science, exploration, and fun for K-12 students. Explore the Huyck Preserve. Summer program with athletics, Circus Theatricks, cooking, Legos, theater, Minecraft and so much more. Summer improv theater for ages 7-17. Summer weekly themed camp for pre-school kids ages 18 months to 5 years old Full or part-time availability. Summer workshops and summer fun dance camp for ages 4 to 9 years. Summer program for ages 3-11 years old with themed weeks, STEAM learning and activities and more. For kids entering kindergarten through age 12 with swimming, arts and crafts, sports, drama, field trips and more. Full or part-time. Summer camps for kids ages 6-17 with pottery, stained glass, jewelry making, game design, photography and more. Full or part-time. Summer fun with music for ages 2-7; piano camp for pianists ages 9 and up. Summer day camp for ages 3-12 with fun and creative play, arts and exploration.